Wildflower gardening possibilities capture the imagination with an element of mystique and a splash of color. 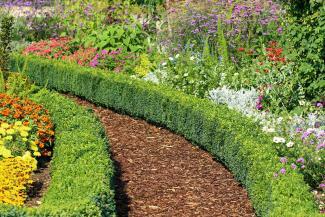 The basics for this type of gardening isn't very different from other flower gardens. Location, sun, soil condition, water, planting times and types of flowers are the main considerations. Sun: Most flowers need a minimum of six hours of sunlight unless you're planting partial shade varieties. Drainage: Select an area that has good drainage. 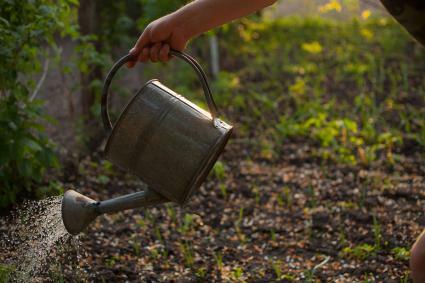 Watering: You'll need to water the plants regularly until they are well-established. Wildflowers have deep roots, so you won't need to water like other flowers. Just as you would prepare any flower bed, you'll need to prepare your wildflower bed or field. You need to break up the soil with either a tiller or a shovel and garden fork. If you don't have access to a tiller, use the double digging technique. This requires digging rows/trenches to remove a foot of soil and transferring it to the previous row/trench. You'll also add compost to each trench and mix with the existing soil. Most gardeners make their own compost to add nutrients to the soil. 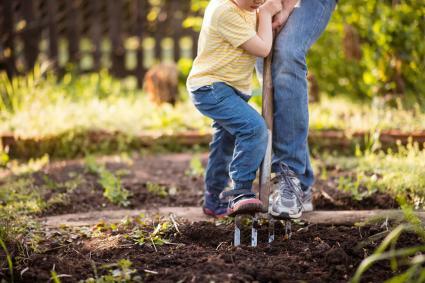 If you're just starting out, you'll need to purchase a good compost soil. This will add nutrients to the soil and keep the soil loose for beneficial airflow. You can purchase an inexpensive soil test kit from a garden center to test the pH, potassium, nitrogen and phosphorus levels. Many companies promote easy-to-grow wildflower collections or even a roll-out biodegradable flower mat. Some plants can grow in poor or neglected soil, but most need the right nutrients. One of the easiest and best types of fertilizers is a liquid fish emulsion. You can buy either dehydrated powders or concentrated liquids and dilute with water. Using a sprayer, you'll saturate the plants (early evening). The fish emulsion nutrients are ingested through the leaves. 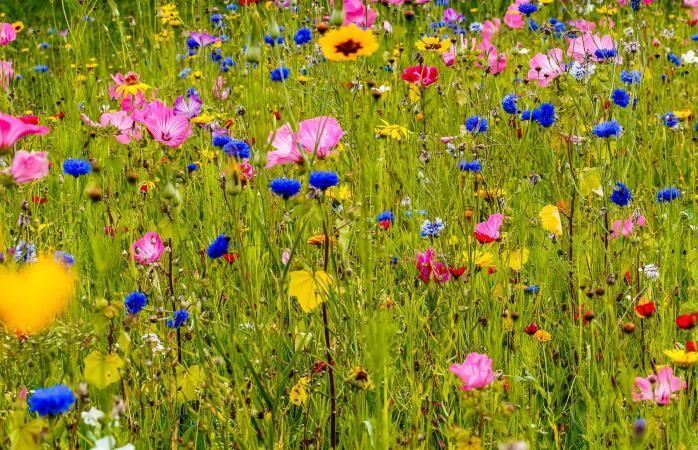 The easiest way to select seeds is to purchase a wildflower collection unless you prefer creating your own. Some gardeners prefer to plant only local/regional wildflowers. You can find out which wildflowers are native to your area by using the National Wildlife Federation's online zip code tool. Many companies, like American Meadows, offer regional collections. Some are specific for attracting local pollinators, deer-resistant, drought-tolerant, etc. Local garden centers are also excellent resources. You'll probably want to plant a mixture of perennials (self-reseeding) and annuals (plant every year) for a good variety of flowers. 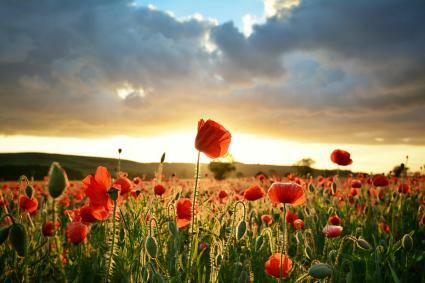 Red Poppies are available in perennial and annual varieties. Giant Cactus Zinnia reaches 4" to 5" across. Butterfly Weed is a perennial milkweed with an orange flower. Giant Black-Eyed Susan is a drought- and deer-resistant perennial. Wildflower seeds are very sensitive and shouldn't be planted in holes like vegetable seeds. Seed company Burpee advises: "Do not expect all the seeds to germinate." The germination rates differ for perennials (50 percent) and annuals (95 percent). 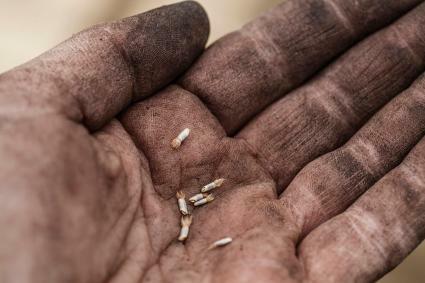 Smaller seeds have a lower germination rate. Moisten the prepared flower bed with enough water so the soil is damp. Scatter seeds onto the bed according to packet instructions. Some gardeners mix the seeds with compost soil for easier distribution. Tamp down by walking over them or by using a seed roller. Use flowers that aren't tall in smaller areas. When planting a larger area, plant the taller plants in the back and the shorter ones in the front, with medium height flowers in the middle. Use the USDA Hardiness Zone Map to find the last frost date in spring and time your planting according to the packet planting directions. Some gardeners prefer fall planting since the flowers will grow faster than spring-planted ones. Fall planting allows the flowers to grow a couple of weeks earlier than spring sowed seeds. The flowers have that extra boost to overpower potential weeds. Wildflower Farm suggests planting native grasses with your wildflowers to root out weeds. The website suggests short grasses grow in clumps (Little Bluestem or Prairie Dropseed). Plant either mat-forming or bunch-forming grasses. Once the flowering season is over, mow down the field or garden bed. Perennials will reseed themselves and you can plant more annuals and perennials in the fall to ensure beautiful wildflowers in the spring. With a little planning and preparation, you can add a wildflower garden to your landscaping. The array of colors and different sizes of blooms will be a pleasing and satisfying addition.